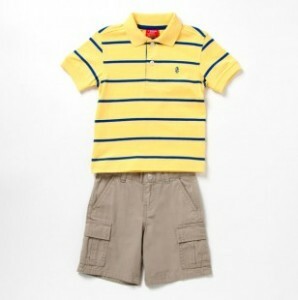 Izod Boys Clothes on Sale – Starting at Just $7.49! Treat your dapper gentleman to a wardrobe that’s been styled to perfection with this incredible collection from Izod: a brand that has been at the forefront of fashion for generations. Izod always offers the best in high-quality cuteness, and this line is no exception with its selection of button-downs, polos, plaid shorts sets, stylish basic tees and so much more. Specially designed to keep little guys looking good, this is a sale moms won’t want to miss. Fits infants, toddlers and boys 4-20. Tops starting at just $7.49 during this sale event! Click here to view the entire selection! 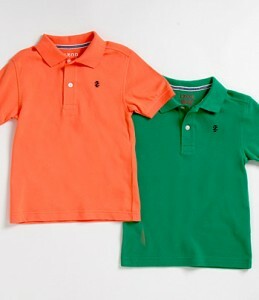 Infant Boys’ Play Wear – Starting at Just $4.50!! HOT! Your little man will always look his best in this collection of super-cool and super-cute playwear. Boasting comfy pant sets, fleece sets and more, these mix-and-match options are perfect for any active lil’ guy! Fits newborns and infants to 24 months. Prices start at just $4.50 for these adorable multi-piece sets! Click here to view the entire sale selection!